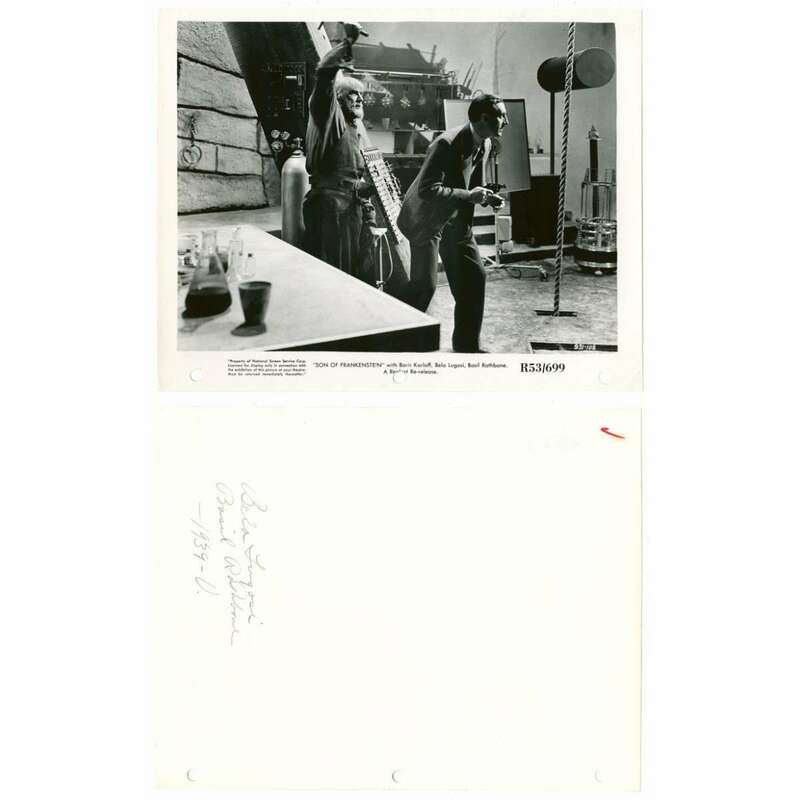 > Lobby Cards and Photos>SON OF FRANKENSTEIN 8x10 still R53 Bela Lugosi attacks Basil Rathbone from behind in lab! 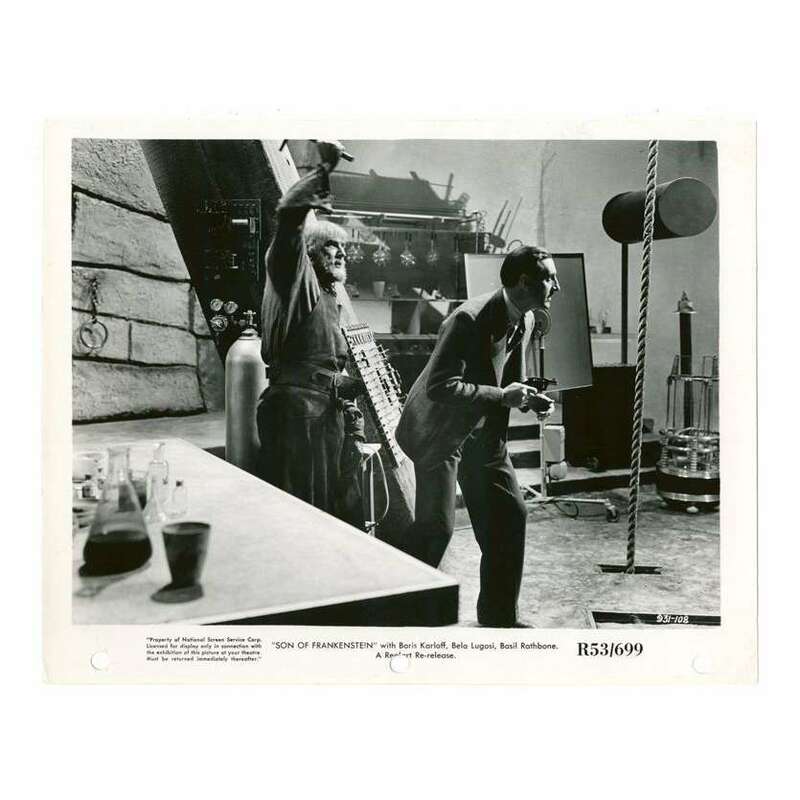 SON OF FRANKENSTEIN 8x10 still R53 Bela Lugosi attacks Basil Rathbone from behind in lab! A 1953 Realart Re-Release Vintage Theater-Used 8" x 10" Movie Still Condition: Very Good (C6) See our 10 GRADE SYSTEM Page for more information. Son of Frankenstein is a 1939 American horror film directed by Rowland V. Lee, and starring famous horror actors Boris Karloff and Béla Lugosi. 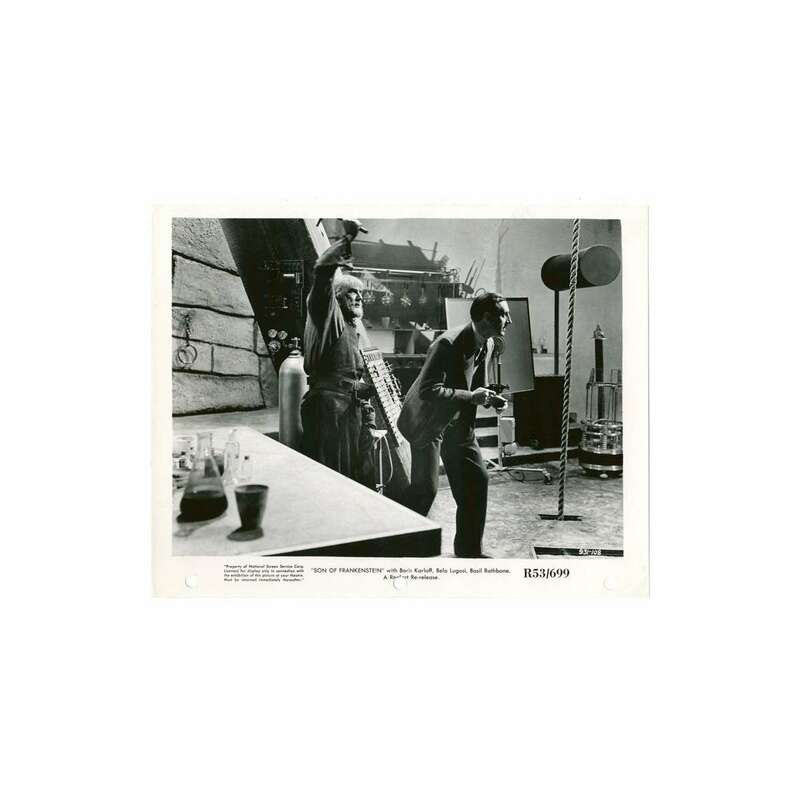 It is the third film in Universal Studios' Frankenstein series and the last to feature Boris Karloff as the Monster as well as the first to feature Béla Lugosi as Ygor. The film was a reaction to the very popular re-releases of Dracula and Frankenstein as a double-feature in 1938. Universal's declining horror output was revitalized with the enormously successful Son, and the studio enjoyed another two decades of popular monster movies. Important added info : please note that this movie poster is related to the Re-release of 1953. Overall Condition: very good. 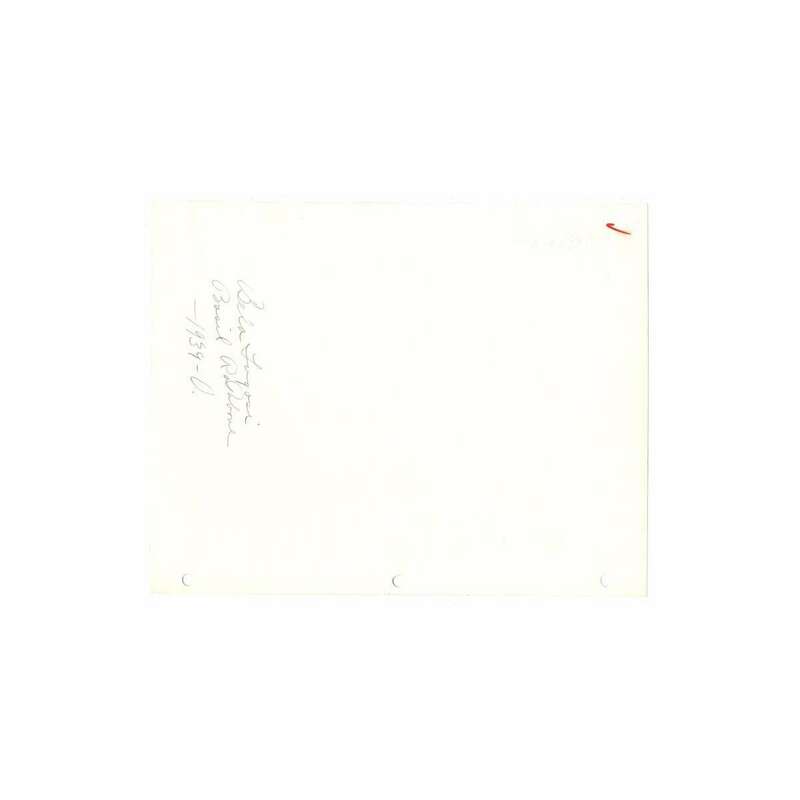 There are three punch holes in the bottom border, but the still is otherwise in nice condition!